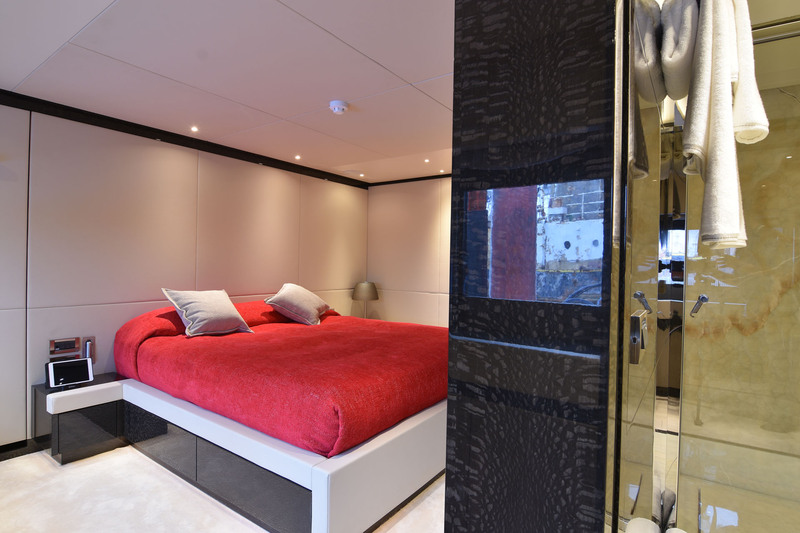 With the length of 45,5m (149’3’’) luxury motor yacht MY EDEN represents a fabulous and spacious vessel. 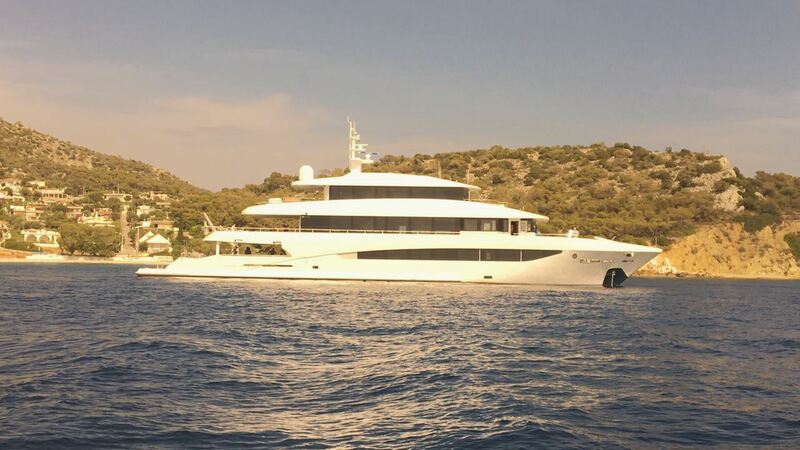 She was built in Greece by the Golden Yachts shipyard and launched in 2017. 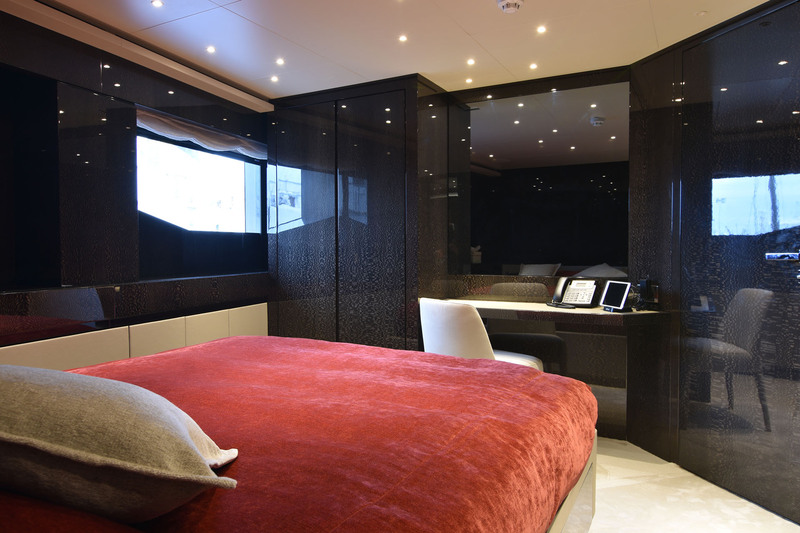 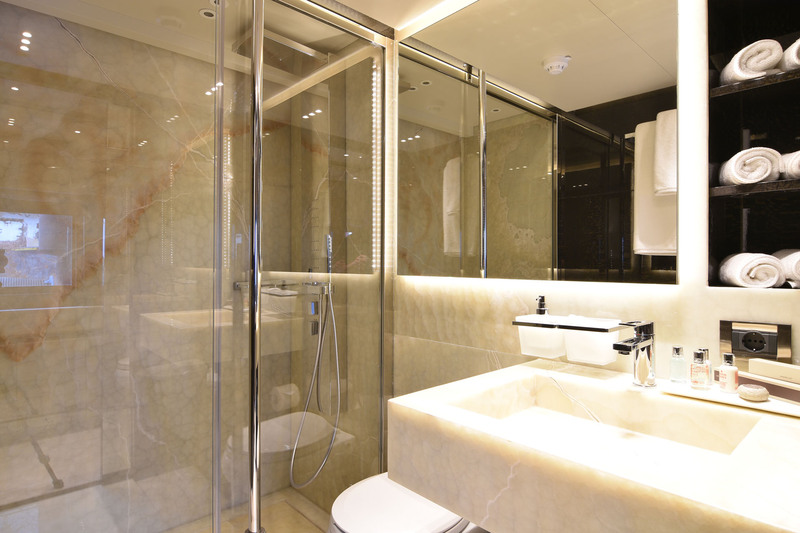 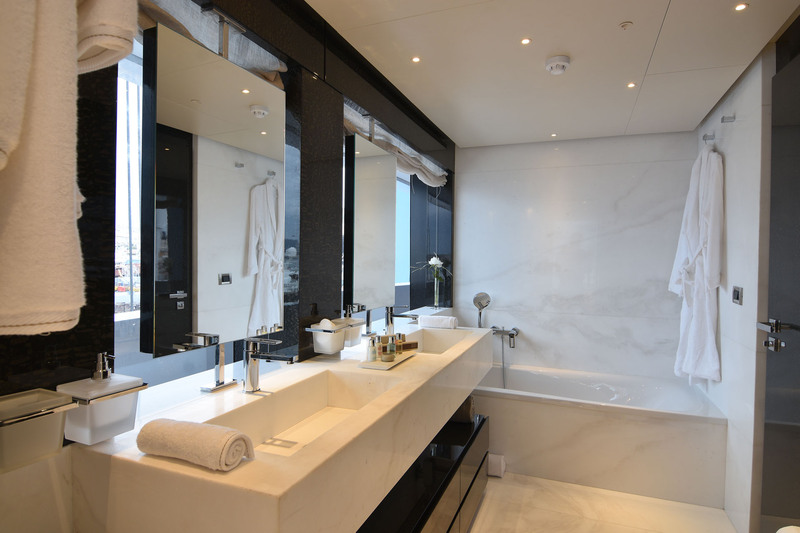 Her contemporary interiors by Ira Petromanolaki offer accommodation for up to twelve charter guests in six cabins, while a professional crew of nine ensures everything runs smoothly and the yacht is kept in excellent condition. 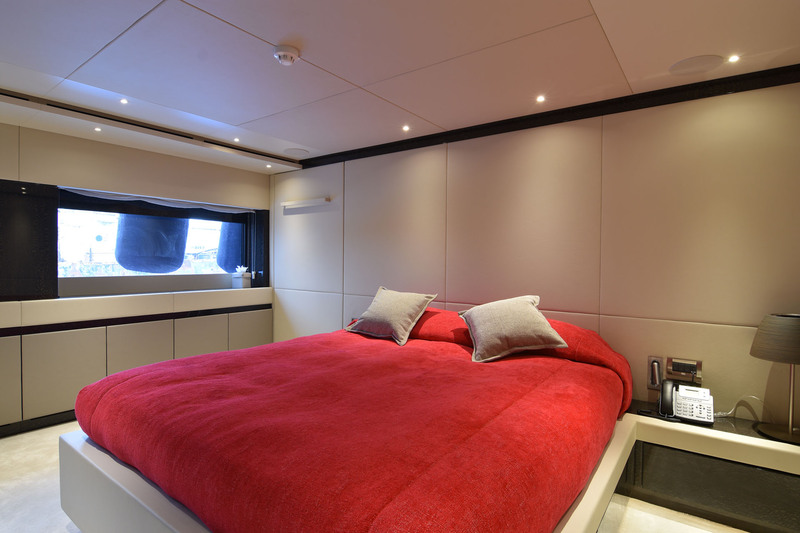 The lower deck is left open, with a spacious swim platform beside the water for a greater connection to the surroundings while sunbathing. 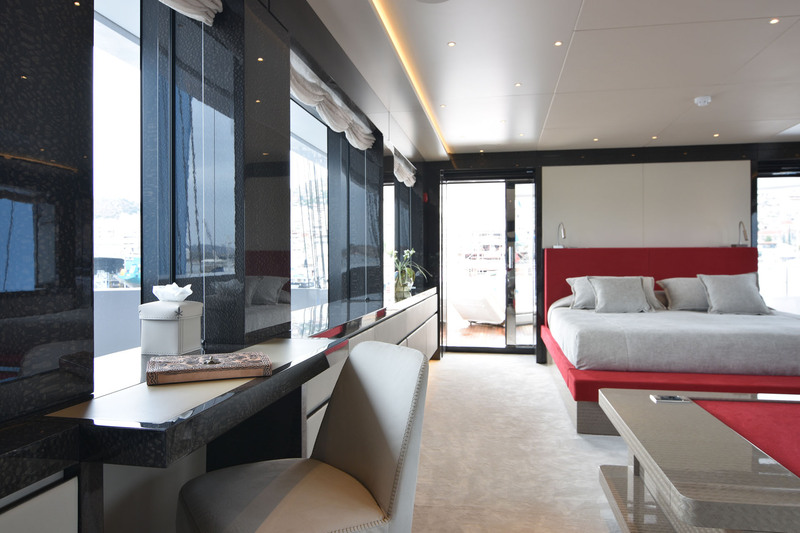 Two L-shaped raised sunbathing areas also provide greater privacy to guests resting in the broad alfresco lounge beneath the upper deck overhang, where guests and visitors have a choice of seating while watching films on the outdoor projector, and a forward bar connects through to the salon. 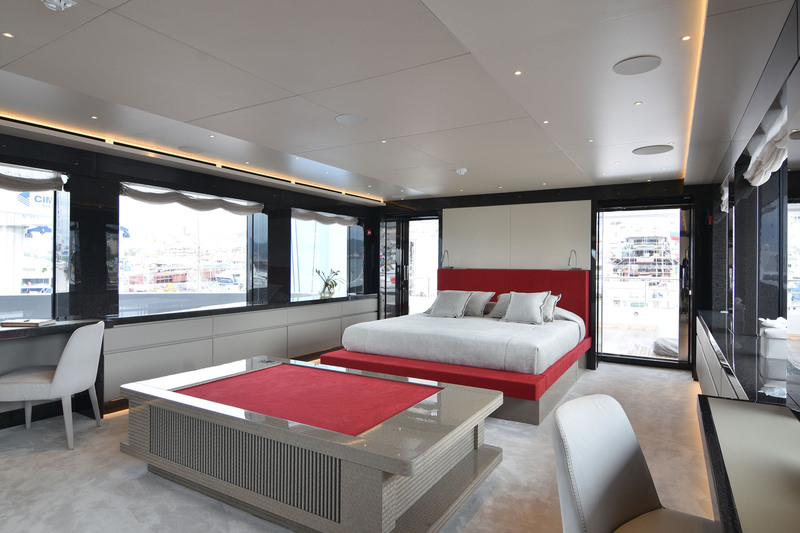 The upper deck places an expansive oval dining table under the shade for guests to dine outside throughout the day while taking in sweeping views. 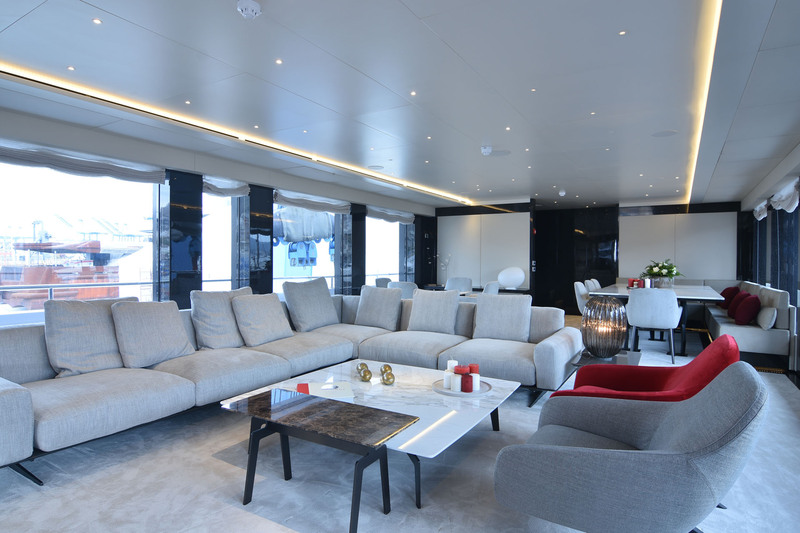 Along the stern, there is an abundance of padded seating for groups to remain outside and socialise over drinks from the contemporary corner bar. 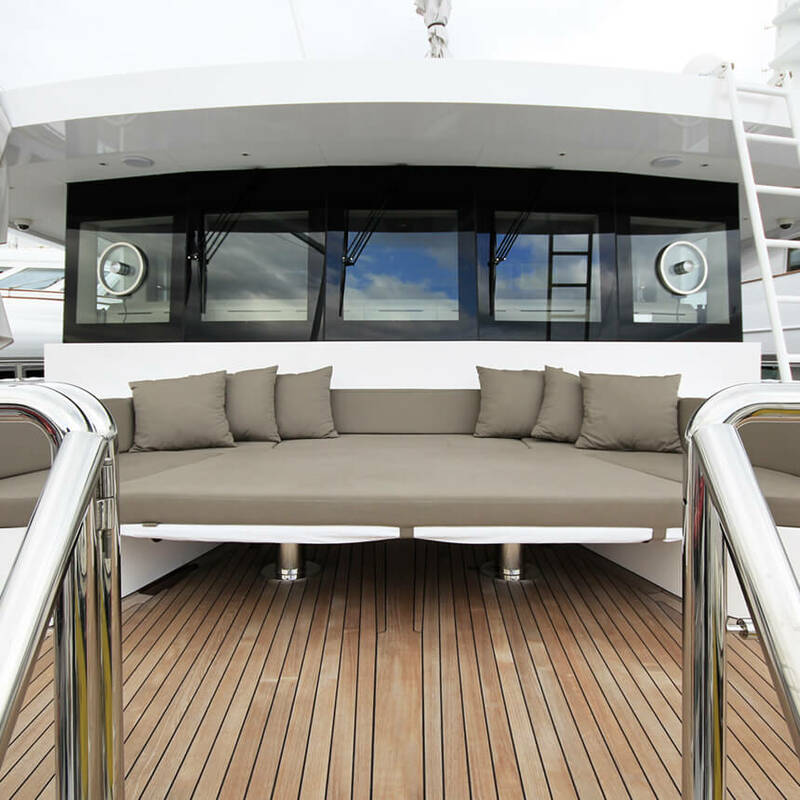 The Portuguese deck provides a sofa-sun pad and a sun umbrella for outdoor relaxation even in the hottest weather. 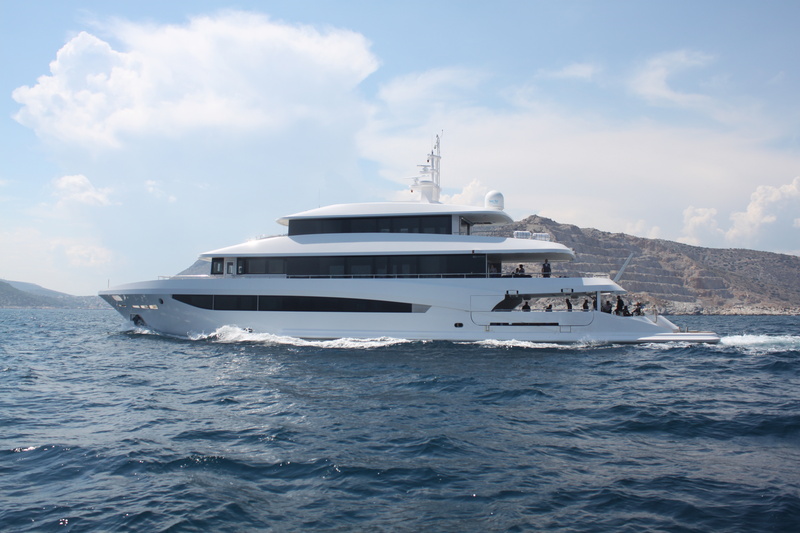 Tenders are stored within the bow and are launched and retrieved using a Davit crane. 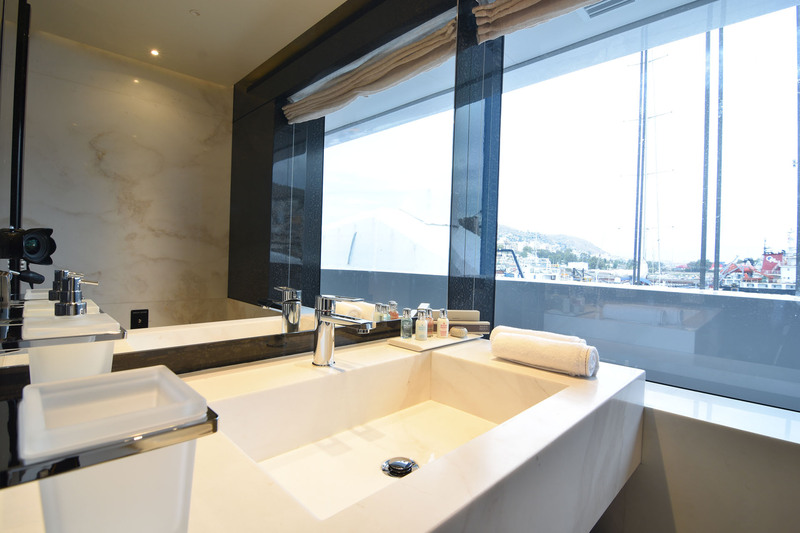 Upon the sundeck, the forward section is fitted with a raised Jacuzzi that can also be shaded with a large sun umbrella. 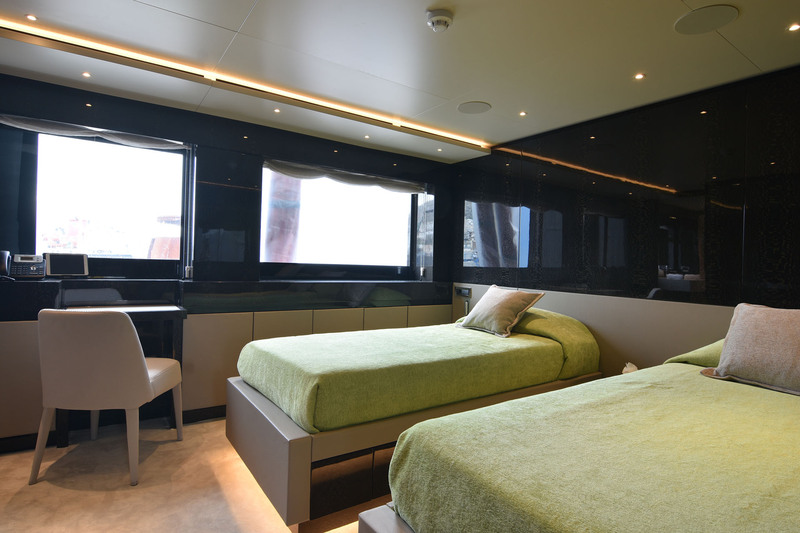 To the aft, additional sun loungers form a final secluded alfresco salon for guests to rest in peace and quiet. 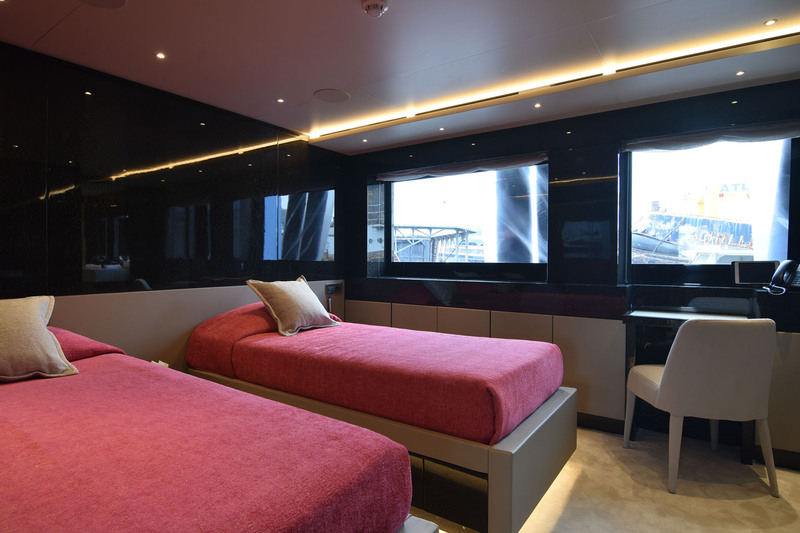 The monochrome interior makes use of gloss surfaces to further enhance the lighting and accents in cherry red of lilac add contrast to each elegant room. 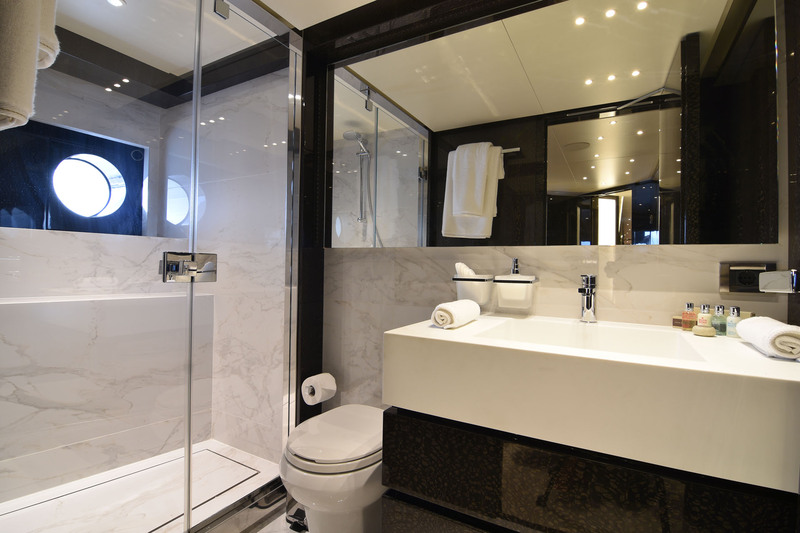 The lower deck stern contains amenities such as the laundry, with the engine room aft of amidships and the crew accommodation. 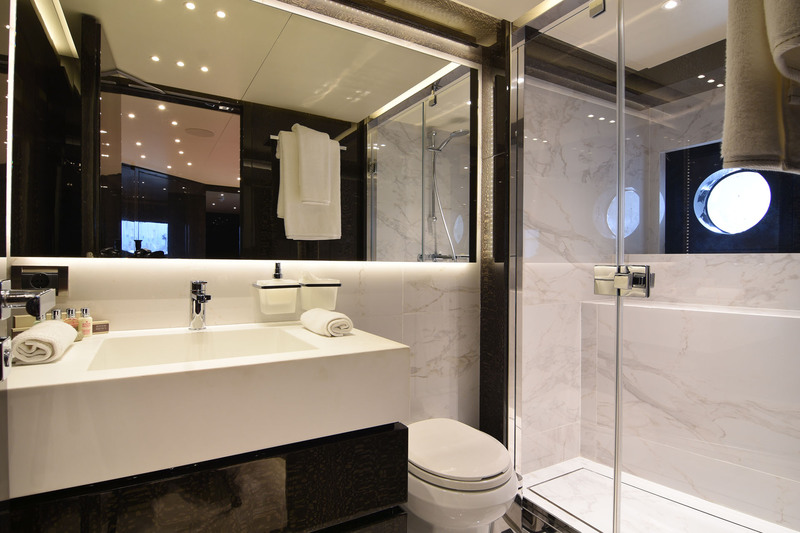 The guest accommodation is placed upon the main deck and consists of a Master suite, a VIP stateroom, two double cabins, a two twin cabin and one twin cabin convertible to a double. 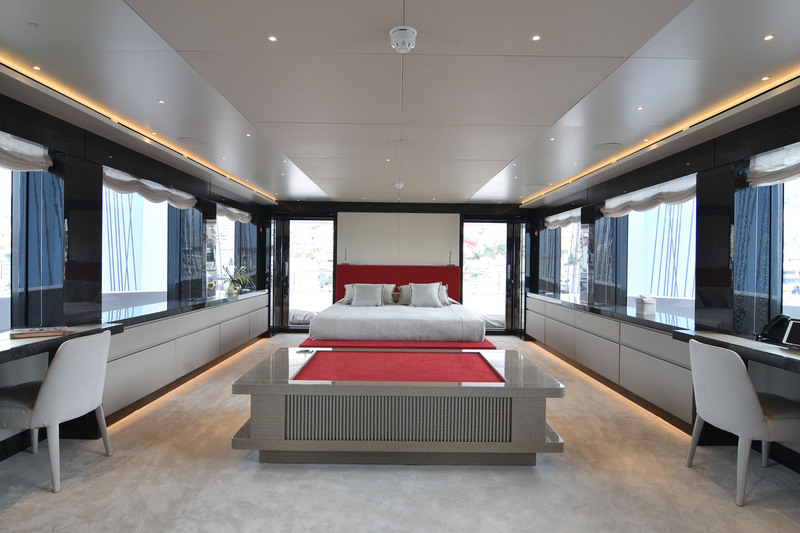 On the port side, there is a children's lounge/media room that benefits from plenty of light through the large windows for daytime entertaining. 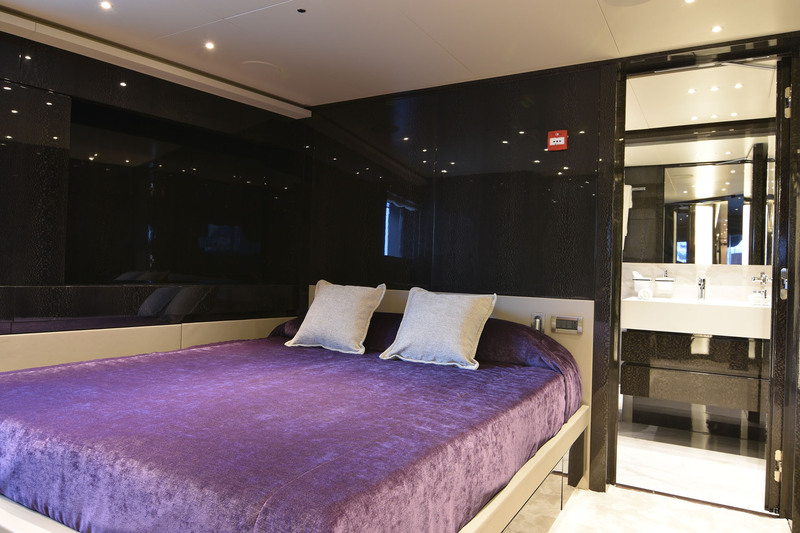 A large L-shaped sofa runs almost the length of the room, while opposite a cutting-edge widescreen TV has been seamlessly integrated into the wall. 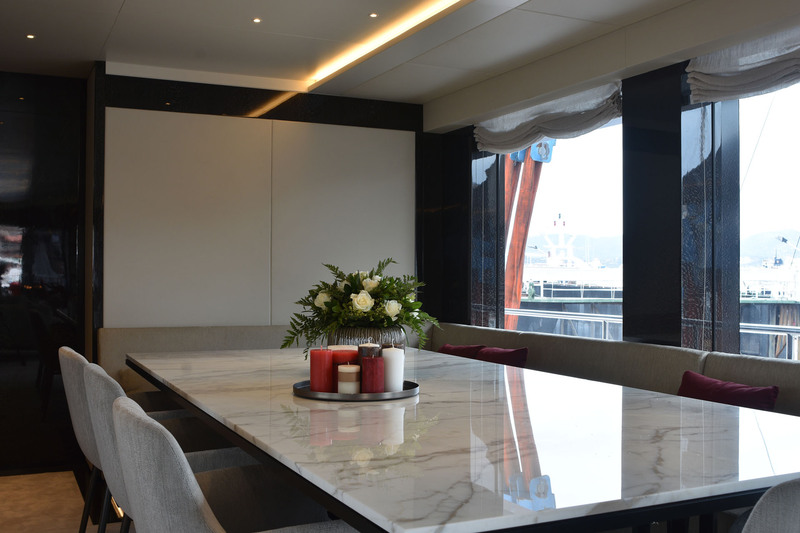 The main salon and the formal dining area share the same open plan interior on the upper deck, with the dining table to seat eight placed on the starboard side and an intimate after-dinner seating area to port. 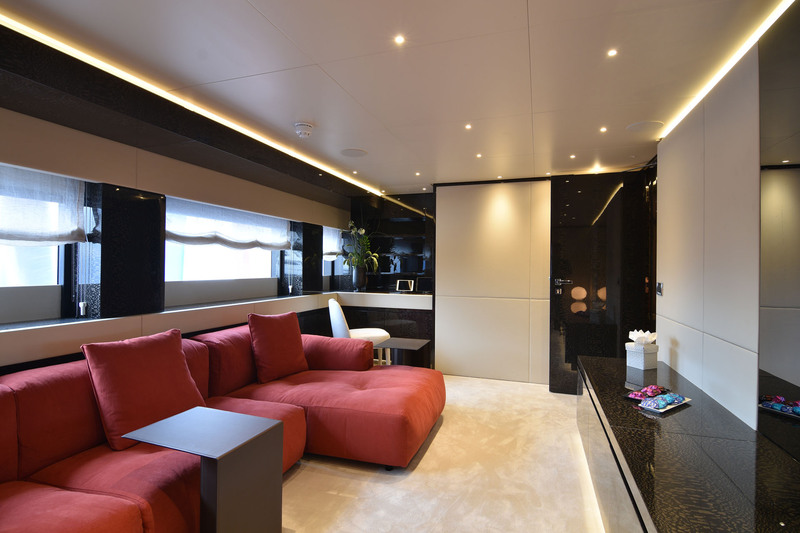 Behind, two sofas form a corner alcove while additional armchairs allow the whole group to gather to plan the day over coffee. 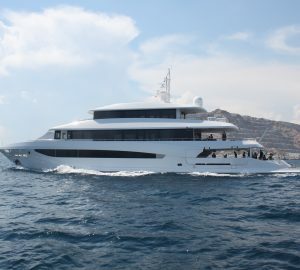 Mitsubishi engines provide a cruising speed of 10 knots and a top speed of 14.5 knots. 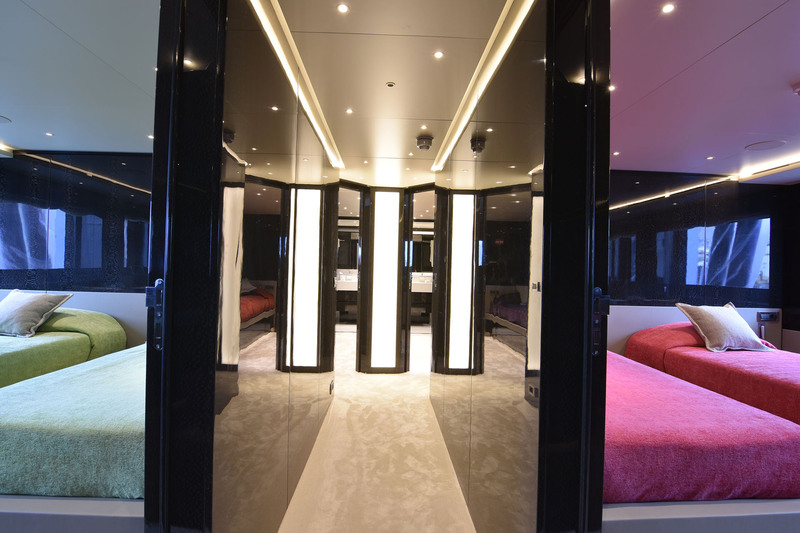 Accommodation for up to twelve guests is offered in one master suite, one VIP suite with one double bed and a Pullman berth, two double cabins, one twin cabin, and one twin cabin convertible to double.